"For God hath not given us the spirit of fear; but of power, and of love, and of a sound mind” (2 Timothy 1:7). As I thought about this idea of spiritual power and how we can obtain it, my mind was turned to the first chapter of Moses where it describes how the creation was accomplished. I have often thought about that phrase “the word of my power” It is used again in Jacob 4:9. This verse seem to explain it more clearly. All of the things that God has created are obedient to him. Except for one. A careful reading of Abraham chapter 4 clearly shows that the elements that came together to form this earth obeyed the word of His power. As you read that chapter, focus on words like order and obey. Now go back to Abraham 3:25. We (mankind) were placed on this earth to see if we would obey. 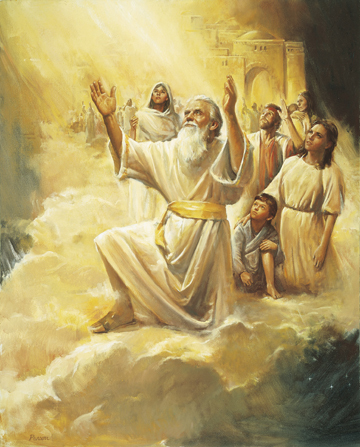 Unlike the rest of God’s creations who have already demonstrated their obedience to the word of his power (Abraham 4:31), man was given agency to see if he would obey (Abraham 3:25). All of this was the working of a young man who complained that he was slow of speech. What happened? What changed? We know that when we are equally yoked with the Lord that he can do far more with us than we can do with ourselves. The key appears to be that we must cast off fear and doubt and allow the power and love of God permeate our souls, change our hearts, and deepen our resolve.